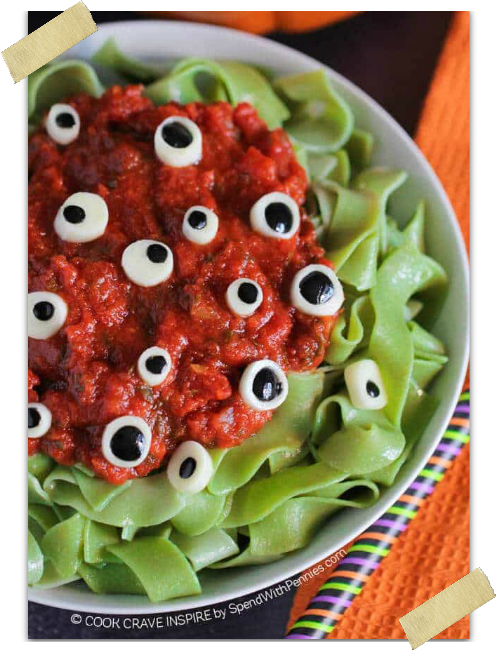 This fun spooky Halloween Eyeball Pasta dinner is easy to make and kids love it! 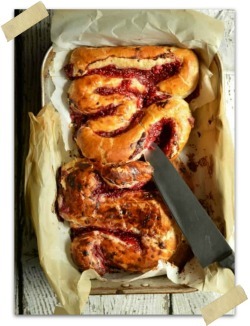 It’s the perfect way to fill up their bellies before heading out to events!! When it comes to Halloween I’m normally a “sweets and desserts” all the way kind of Halloween lover but something about this Eyeball Pasta has me wanting to make an entire Halloween dinner menu of Savory Halloween Foods! 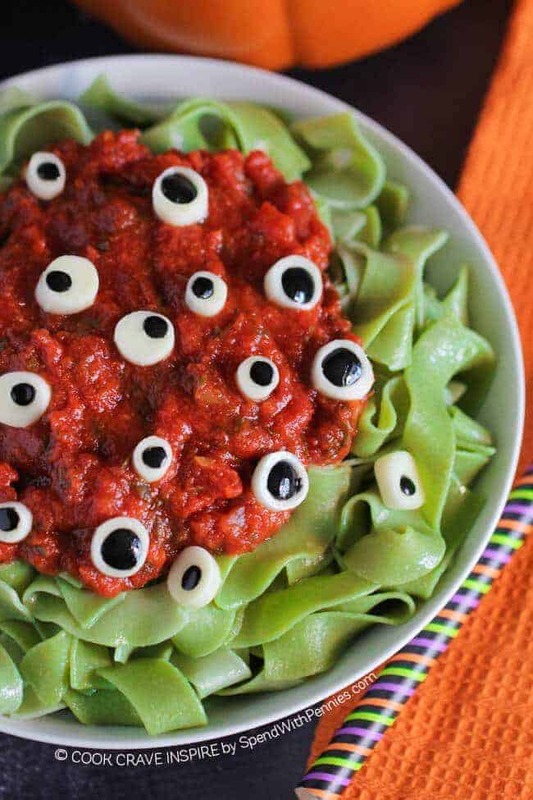 Holly made some super spooky savory eyeballs for this Halloween pasta and the green noodles are perfect! 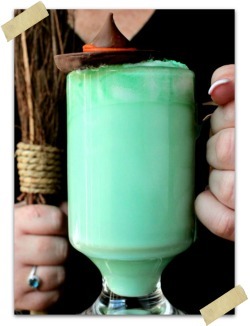 The green noodles kind of look like alien tentacles to me! Whatcha think? 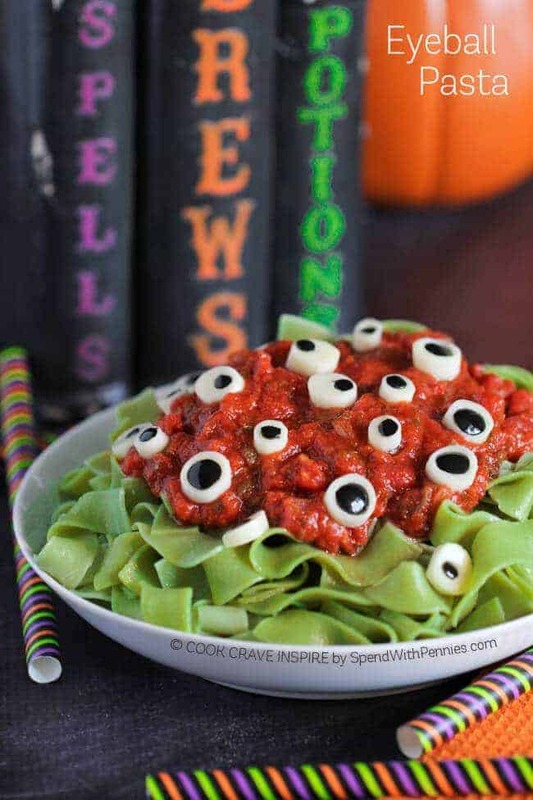 Between those green alien monster arms and the creepy eyeballs, any Halloween party would be lucky to have this Eyeball Pasta served as the main course! While I’m pretty great at making sweet candy eyeballs for Halloween desserts, I was super excited to see how Holly created these cheesy eyeballs for pasta! 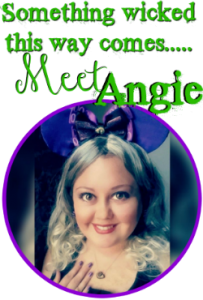 She’s got the eyeball making tutorial on her blog and the recipe for this pasta. You can find that link below. Also, don’t worry! 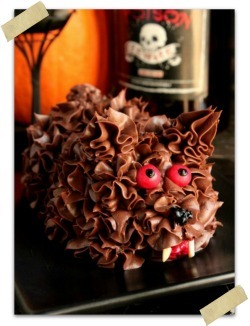 The eyeballs couldn’t be easier and you’re going to want to add them to ALL of your Halloween dishes for this year’s Halloween party! Spinach pasta is naturally green making it the perfect way to serve up this spooky dinner. If you’d like your pasta a little brighter you can add a few drops of green food coloring to the water while it’s boiling.